Nordic skiing is a difficult activity that requires lots of efforts, but after reaching the tranquillity of a white natural spot you will surely feel rewarded. The first circuit covers the entire surface of the Andalo karstic lake for a total length of 2.5 km and a slope from 0 to 4%. You can ski in the evening (tuesdays and fridays and during the Christmas Holidays) till 21.00 and the artificial snow-making programme lets you live a fantastic adventure in the midst of natural beauty. For beginners there's a 730 m school slope for private or group lessons. Equipment hire/store and changing rooms. The second circuit winds its way through the forest of the Adamello-Brenta Natural Park, in the direction of Priori (Cavedago). All the abovementioned routes are daily fixed and apt for both the classic and the skating techniques of Nordic skiing. The centre also features dressing rooms with shower facilities. 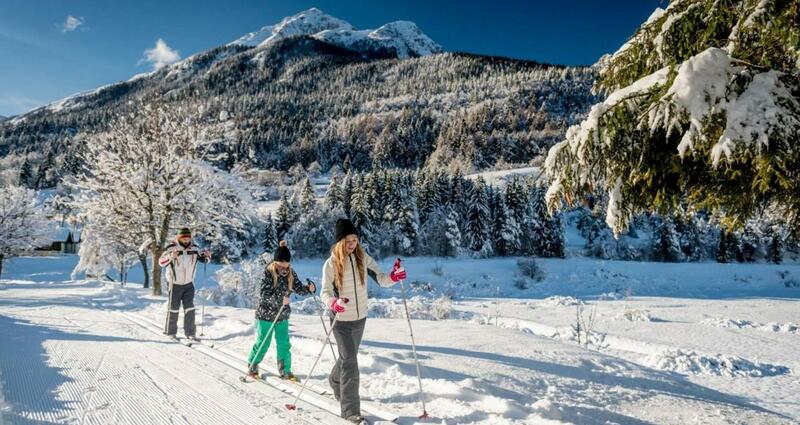 Andalo Life Park’s Nordic skiing centre is part of the wide Super Nordic Skipass’ circuit. In the centre you can: rent Nordic skiing equipment, make your ski waxed, or simply store your Nordic skis there. Total height difference: 204 m.